Housing California has been building the capacity of regional partners to educate and engage residents of affordable housing developments in policy advocacy through its Residents United Network (RUN). RUN is a collaboration between Housing California and the Center for Community Change’s Housing Trust Fund Project. This year’s multi-sector partnership with Opportunity Starts at Home has helped create RUN’s Statewide Taskforce, which kicked off in May with an intensive two-day education and engagement training. The event provided regional partners and key affordable housing developers the opportunity to strengthen relationships and build their policy advocacy capacity through leadership development, basic organizing, and other technical training and skill-building opportunities. Additionally, Housing California informs multi-sector organizations on the links between housing and other sectors. In collaboration with the Center on Budget and Policy Priorities, Housing California partnered with health-focused organizations to send a letter to California’s 55 U.S. senators and representatives. The letter urged the delegation to support adequate federal funding for rental assistance for people with the lowest incomes, including full funding to renew all Housing Choice Vouchers. Partners included Dignity Health, Kaiser Permanente, Anthem Blue Cross, and the California Association of Public Hospitals, among many others. Read the latest newsletters from Housing California and the Residents United Network. Sign up to receive newsletters and learn more about California activities on the Housing California website. 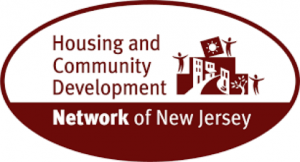 The Housing & Community Development Network of NJ (HCDNNJ) has been working to build a robust multi-sector advisory committee, including the New Jersey NAACP, Association for Children of NJ, Environment NJ, the Sierra Club, the Lutheran Episcopal Advocacy Ministry, NJ Policy Perspective, and the United Auto Workers of America. Additionally, HCDNNJ continues to partner with other advocacy organizations to engage federal policymakers by hosting its third annual Congressional Reception in Washington DC on July 25. There will be more than 300 New Jersey residents attending the event and meeting with the state’s U.S. senators and representatives. New Jersey Senators Robert Menendez and Corey Booker plan to meet with the group, and HCDNNJ and its partners booking appointments with the rest of the congressional delegation throughout the day. Residents will talk about how federal housing programs have benefitted them in many areas of their lives and ask that investments be protected and expanded. HCDNNJ has already held in-district meetings with staff from the offices of both Senators Menendez and Booker. To learn more about HCDNNJ –to become a member, register for events, sign up for the newsletter, and learn about NCDNNJ’s other activities – check out the website.